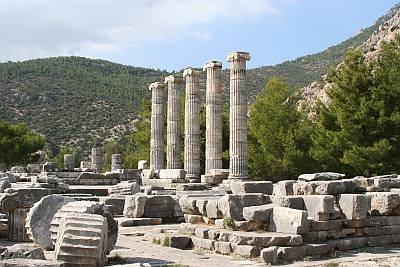 An ancient Ionian city, Priene is located within the borders of Aydin province. With a history going back to 2000 BC the city exemplifies the finest city planning of the ancient times. Constructed by employing the “grid system”, the Temples of Athena and Zeus Olympus, the theater and the agora are among the ancient structures still extant today welcoming visitors who want to get steeped in ancient history.